I have no idea who first designated August 13 as International Left-Handers Day. But today it is recognized around the world. Everyone, righty or lefty, can celebrate by performing left-handed handshakes, waving their left hand in the air, and struggling with canopeners. The Social Work Degree Center (SWDC) has published an infographic called Left in a Right World, which considers the challenges of being left-handed in a world dominated by righties. This is a readable piece with information gathered from a number of interesting sources. Gear shifts and other automobile controls on the right: This is true only in countries where people drive on the right side of the road. In countries where they drive on the left, the driver sits on the right and controls are on the left. In both situations, lefties and righties seem to adapt equally well. Doorknobs on the right: There are just as many doorknobs on the left as on the right. If you happen to find a doorknob on the right, you can stand on the other side of the door and find one on the left. Smeared ink when writing: This is a problem only for those who have been taught incorrect writing by ignorant right-handers. See my page on how to write left-handed. Computer mouse on the right: This isn't normally built in to the computer. I have mine on the left. With a Mac, left vs. right isn't an issue. With a PC, it's easy to switch the mouse buttons through the control panel. Sadly, it's true that some schools and libraries have short mouse cords attached to the desk in such a way as to prevent lefties from using the computer. This is completely unnecessary and should be illegal. Awkward handshakes: Not really. Simple actions that require little or no skill are very easy for both lefties and righties to learn and perform automatically with either hand. Shirt pockets on the left: True, but is this really a challenge? Zippers: Without any explanation, I'm not sure what the problem is supposed to be. All my zippers run down the middle of the track and can be operated with either hand. The article touches on many of the usual points - linguistic prejudice, discriminatory technology, the number of left-handed U.S. presidents, the advantages of lefties in sports, the potential for greater creativity. Something I hadn't seen before is the suggestion of a possible correlation between left-handedness and the homicide rate in primitive cultures. Are righties killing lefties out of superstitious prejudice? Are angry lefties committing murder in disproportionate numbers? We don't know. As my old statistics professor would say, correlation does not imply causation, and it is fairly easy to come up with some very odd correlations between unrelated things. Also mentioned are some of the possible neurological and genetic explanations for handedness. Of particular interest is the "right shift" theory, which explains why two right-handed parents can have left-handed children and why some people are not locked into the dominant hand model. At the start, SWDC states, "At a steady 10% of the world's population, it's a mystery why left-handedness has not 'died out' from the gene pool altogether." However, the same could be said of homosexuals (10-15%), natural redheads (1-3%), and people with perfect pitch (less than 1%). Fortunately, people are not all alike. A variety of traits helps to keep the gene pool healthy (and interesting). As for our ongoing fascination with the pros and cons of handedness, perhaps the New York Times had it right when it announced that lefties aren't all that special. Like everyone else, we are just being ourselves, doing the best we can with the resources we have available. I first wrote about this problem back in the fall of 2009, after being in a class in the California State University, Northridge, Library. I attempted to use Control Panel to reverse the mouse buttons so I could use the device with my left hand. But Control Panel was not visible on the desktop. There was an "Accessibility" menu, but none of the things listed there had anything to do with making the computer accessible to lefties. I asked the librarian in charge of the class for help, but she didn't know how to switch the buttons. She brought in an arrogant techie who told me that there was no way to switch the buttons because Control Panel had been disabled for security reasons. (Interestingly, computers in some of the other labs on campus allow access to control panel and the mouse buttons. As far as I know, they do not have security problems.) Tech-guy claimed that I was the first person who had ever asked for this. When I told him I wouldn't be the last, he said it would probably be another twelve years before that happened. My right-handed friends were shocked by his attitude. Note that if we were talking about accessibility for people who read and write Japanese (which was available on that computer) it wouldn't matter how many or how often. Does the library refuse to meet the needs of all the various ethnic and language groups, deaf people, or people with various special needs, simply because they haven't often made these requests? Since then, the situation has actually gotten worse. After the library was "improved" last year, the mouse cords were attached to the desks in such a way that the mice cannot be moved to the left side of the keyboard. So now, not only can I not reverse the buttons, I can't use the mouse in the library with my left hand at all. I am pretty sure that schools in California stopped forcing left-handed students to switch at least 50 years ago. But apparently the Oviatt Library at CSUN still hasn't gotten the memo. If you would like to let the administration know what you think of this policy, you can contact CSUN in various ways. The Backup Care website recently posted an article that discusses how to determine if your child is left or right handed. 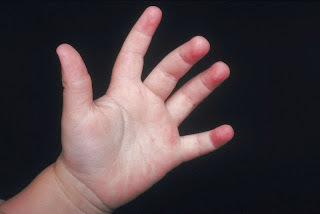 The article explains a little bit about hand dominance and how the preference of the dominant hand emerges during the stages of a child's development. The article is clearly written and provides some interesting facts about handedness. Whether or not you already know your child's hand preference (or your own), it's a good read. ITI Web Store Group has announced the launch of LeftHandedWorld, a new online store featuring a wide variety of left-handed products. The store is now live and located at http://www.lefthandedworld.com. The store offers a variety of left-handed tools, scissors, kitchen items, music guides, books, school/office supplies, electronics, novelty items and personalized gifts. 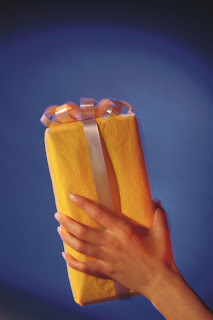 "LeftHandedWorld.com features both practical day to day tools for use by left-handers and interesting gift giving ideas for those who love them," states Timothy C. Barry of ITI Web Store Group. "We've been studying the left-handed retail space and planning to add a left-handed store to our group for some time and, as an incorrigible life-long southpaw myself, this is part business and part labor of love. We already have several hundred left-handed items available in the store and we are adding more every day." Included in LeftHandedWorld's selection of useful left-handed items are a substantial number of products that can be individually personalized for gift giving. Made from quality wood, leather, acrylic and anodized metals, laser engraving can personalize these items for year around gift giving. "We researched existing left-handed products and noticed that there were almost none that offered any individual personalization," continues Barry. "Since we already have laser engravers for our other stores, we are able to use them to add a personal laser engraved name, slogan, message and so on to quite a selection of our left-handed products. Personalization always makes a great left-handed gift even more memorable. It's also practical: If your child's left-handed scissors are laser marked with the child's name it's a lot easier to identify yours at school or after play dates."